Brodzinsky, David. (1993). Long-term Outcomes in Adoption. The Future of Children, 3 (1): 153 – 166. The article was summed up by saying if one wants to understand adoption; one must move away from preconceived notions and start listening to the actual adopted persons. Curtis, R. Frances, P. (2010). Contact with Birth Parents, Differential Psychological Adjustment for Adults Adopted as Infants. Journal of Social Work, Vol 10(4), 347-367. Adults adopted as infants in the US were surveyed to determine what extent they experienced psychological effects of adoption during adolescence and adulthood and the relationship between psychological effects and whether or not they had contact with their birth parents. Sachdev, Paul. (1992). Adoption reunion and after: A study of the search process and experience of adoptees. Child Welfare: Journal of Policy, Practice, and Program, Vol 71(1), 53-68. Adoptees view the sealing of records as an insult to human dignity and human rights. Adoptees feel resentful and bitter toward professionals in the industry because they have been denied access to the details and facts of their natural heritage – and most believe strongly that this is something that belongs to them. 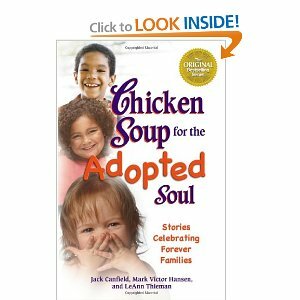 Recent studies have shown that being adopted can affect many aspects of adoptees' lives, from relationships with adoptive parents to bonds with their own children. 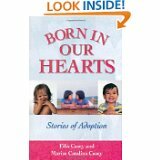 A heartwarming collection of true stories that weave a rich tapestry of the adoption experience from many different perspectives: birthmothers, adoptive parents and grandparents, and adopted children and adults. Read a moving letter from a birth mother to her son explaining how difficult it was to give him up when she didn't have the means to care for him, how she still thinks about him often, and how she will always love him.